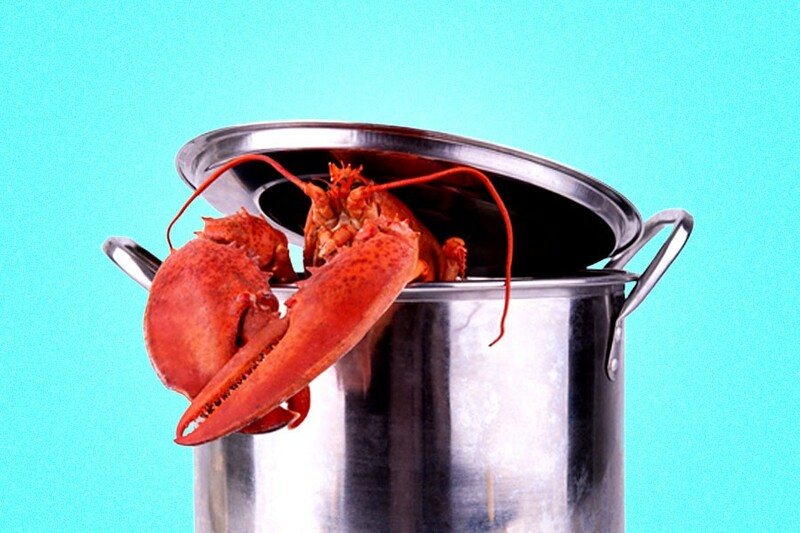 The Swiss government recently banned the common culinary practice of plunging live lobsters into boiling water. According to Swiss public broadcaster RTS, the new measure demands that lobsters be stunned—either by electric shock or “mechanical destruction” of the brain—before being boiled. In response to this new order, U.K.-based animal welfare organization Crustacean Compassion released a petition calling on the British government to outlaw the practice of boiling (and dismembering) lobsters alive. Thus far, more than 37,000 signatures—including high-profile campaigners and celebrities—have been added. With all this in mind, did we ever really need to boil lobsters alive in the first place? It’s certainly true that lobster meat spoils quickly once the lobster is dead, which is why they must be transported alive (and kept alive in lobster tanks before being served). More specifically, lobsters and other shellfish have dangerous bacteria in their flesh, which multiply and release toxins upon death. So cooking the lobster alive (or very shortly after being killed) is your best bet for avoiding a nasty case of food poisoning. That means adopting more humane methods of killing, according to Tomlinson. She first recommends the (somewhat comically-named) Crustastun, which knocks the animal unconscious within a fraction of a second. (Crustastun also claims that the reduced stress associated with its method enhances texture and flavor.) Tomlinson suggests that another option is the mechanical destruction of the brain with a sharp knife, which requires that chefs swiftly slice from head to tail to sever the chains of ganglia (structures containing nerve cells) that run through the body. Both methods appear to be extremely straightforward—and have virtually zero impact on the freshness of the lobster—considering their proposed impact: Fewer tortured lobsters.